The trailer we were all expecting to drop late last year around the time the Avengers: Endgame trailer dropped is finally here! 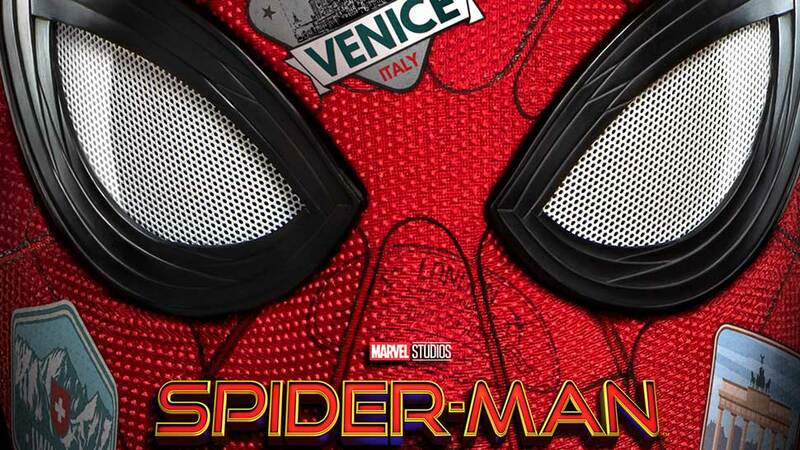 Check out the first full trailer for Spider-Man: Far From Home! Lots and lots of interesting tidbits here – let’s unpack, shall we? First and foremost, the trailer confirms the return of most of the cast of Spider-Man: Homecoming. Holland, Zendaya’s MJ, Jacob Batalon’s Ned, Marisa Tomei’s Aunt May, and Jon Favreau’s “Happy” Hogan all make appearances. Now, there were some surprises, too — STOP HERE IF YOU HAVEN’T WATCHED THE TRAILER YET! One surprise (that is, if you haven’t been following casting news) appearance comes from ol’ Sam Jackson as Nick Fury, who “hijacks” Peter Parker’s summer vacation in Europe for some superhero derring-do. 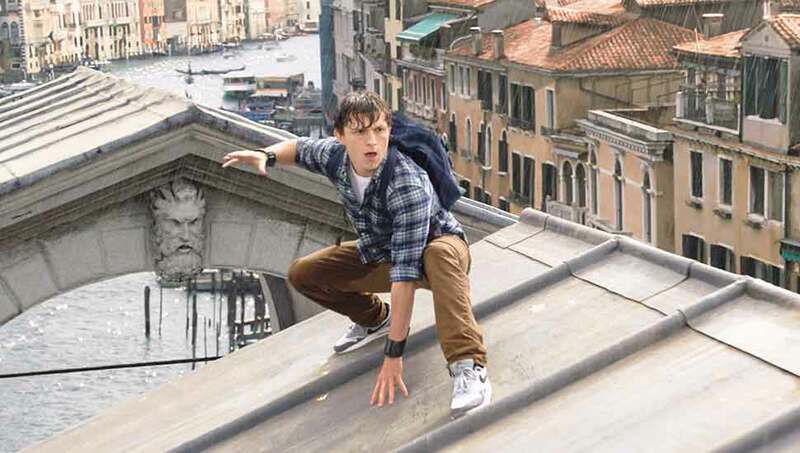 But he’s not the only party-crasher here — is that Hydro-Man we saw kicking up some waves in the canals of Venice? If it is, that’s concerning, if for no other reason that the most oft source of derailment for superhero films is too many villains. Longtime Spidey fans will never forget how the last Sam Raimi Spider-Man film labored under the weight of Sandman, Venom, and a vengeful Harry Osborn. As if Peter doing jazz hands wasn’t enough! What do you think? 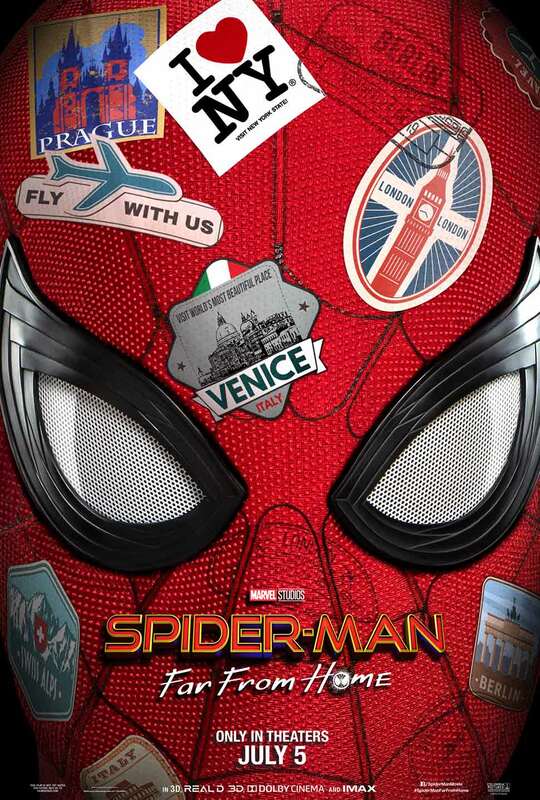 Are you excited after your first glimpse of Spider-Man: Far From Home, or suddenly worried? Also, just last month “Spider-Man: Into the Spider-Verse” swung into theaters with both critical and commercial acclaim. Does that film’s success make the road to glory for this live-action Spider-Man adventure easier or harder?